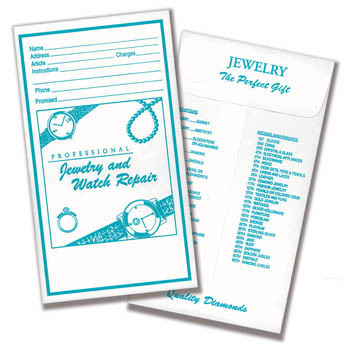 A staple item of any jewelry business. 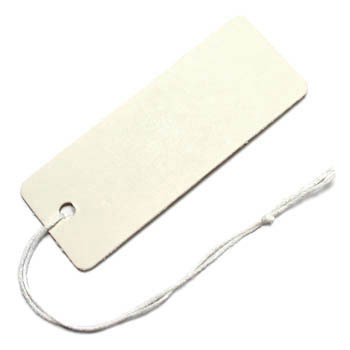 Durable tags will take writing without smearing. 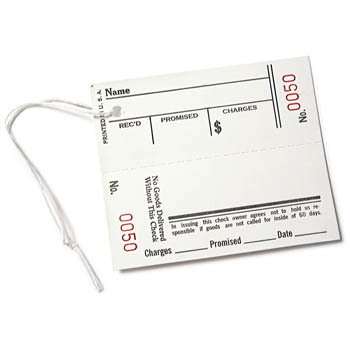 Strung with quality cord. 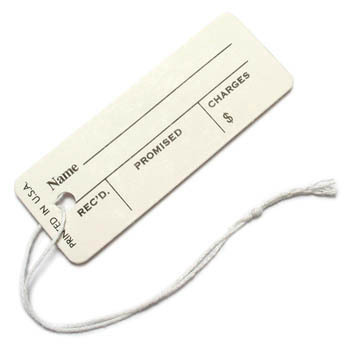 Repair tags feature tear-off claim checks. 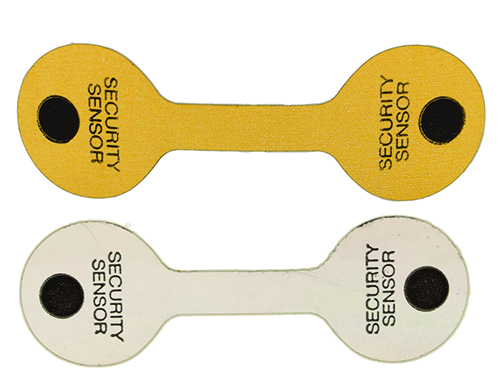 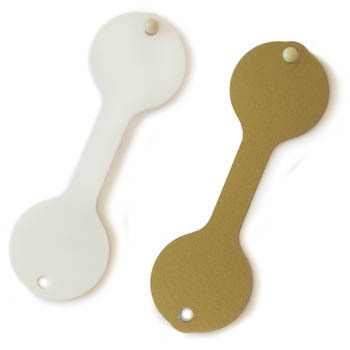 Tag measures 2-7/8" x 2-3/8" Price per 1000. 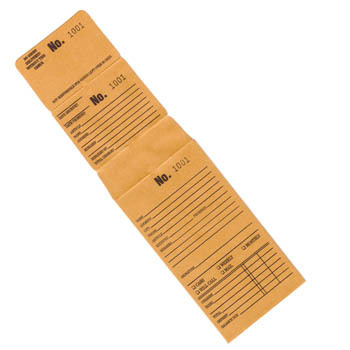 Available by number series so you an keep your records consistent. 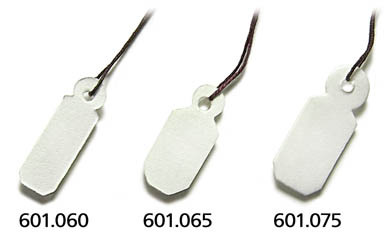 Claim Numbers.... Order SKU No.